Finn Adams thought she knew what her life had in store for her; a mundane existence of day to day life. When her mother goes missing, Finn soon discovers that she is a witch and she is being hunted for her power. Ripped from the only life she’s ever known, Finn is transported across the country to Broadhaven, Maine to discover the secrets she never knew about herself, her heritage, and the tremendous power that’s been kept from her for so long. 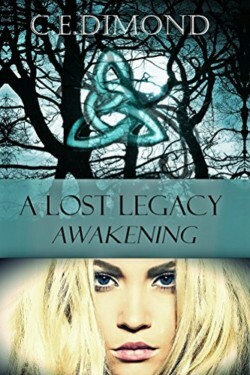 Her loyalties are tested when she learns of her true parentage and discovers she is part of a prophecy, destined to awaken an ancient power that has been lost for centuries. As she struggles to learn from her mother’s past, she is faced with the ultimate struggle of good and evil, family or friends, she must learn who she can trust and find the power within herself to stop the prophecy from coming true.